Like death, taxes and CBS creating another spectacularly unfunny comedy, reboots are an inevitable part of life now. To resist them isn’t merely tilting at windmills, it’s tilting at windmills you then go ahead and buy anyway. Instead, let’s just get writer/director Ryan Coogler to do all the reboots. All of them. I want him on everything from Die Hard 6 to Perfect Strangers: The Movie. Why? Because Creed just delivered a masterclass in how to stay true to the core of what defines a franchise while invigorating it with new purpose and modernizing it in a meaningful way. 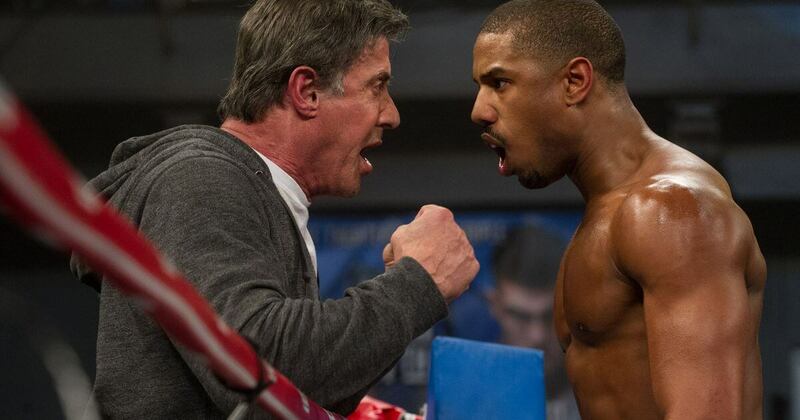 To put it another way: Holy crap, a spinoff of the Rocky franchise is shockingly very, very good. Opening in a juvenile detention facility in 1998, Creed’s first scene is a sophisticated recalibration of the franchise’s intent. After his mother dies, Mary Anne Creed (Phylicia Rashad) adopts the illegitimate son of her dead husband, Apollo Creed. It is a soft, beautiful rejection of ignorant stereotypical conceits about the bonds of black families and a potent demonstration that there’s more going on here than a couple of boxing matches. When Adonis (Michael B. Jordan) grows up, fighting calls to him through his DNA. He moves to Philadelphia, where he convinces Rocky Balboa (Sylvester Stallone) to train him. Actually, he doesn’t convince him so much as he guilts him into paying penance for his father’s death. Having outlived everyone he ever loved, Rocky somehow stumbles into purpose. Meanwhile, Adonis stumbles into Bianca (Tessa Thompson), a surprisingly three-dimensional love interest who (gasp) actually has her own career and life independent of men! What follows is the obligatory improbable march towards a championship bout, complete with training montages and unexpected obstacles. But it’s how those montages and obstacles play out. It’s Adonis fist-pumping after leading a pack of inner city kids riding motorbikes. It’s Rocky seeing how desperate this gifted, smart young man is for absent fatherly love. It’s Bianca and Apollo falling for each other in a believable, honest way over legitimately similar personalities and passions. There are only three fights in this “boxing movie.” And they are all absolutely phenomenal, among the best ever filmed in fact. But this is a movie about people. Hell, the best “fight” in the whole movie may be Adonis shadowboxing the father he never met in front of a projector showing Apollo’s first fight with Rocky. This is finally the role that will make Jordan the household name he was always destined to be. It’s also a chance for Stallone to deliver a late-career reminder that he’s more than Expendable. Of all the blows that land in this crowd-pleasing, character-heavy insta-classic, the biggest gut punch comes while Adonis is seated in his corner, when he tells Rocky why he has to continue fighting. Creed is a meditation on fatherlessness, a call-to-arms for black youth who are taught lowered expectations to believe they are powerful, a rousing boxing flick, a quality love story, a tearful ode to families that are made and not born and one of the best damn films of the year.